Designed to put your promotions front and centre. Put them wherever they’ll create the biggest impact. Giving customers access to information has never been easier. We can develop a unique solution just for you. On any site and in any weather, reach out to where your customers are. Freestanding means free rein. Information on hand where they want it. Suppose you want something bespoke? We can develop a solution just for you. Creative services to help you make the most of your digital signage. Add your branding, logo & artwork onto all products. Nationwide installation and SafeContractor approved. Order direct from Teksmart and enjoy affordable prices, fast delivery and superior service. If we haven’t got exactly what you need, we can custom design/make your digital sign for you. You can choose from a huge range of highly-customisable digital signage solutions. All products come with a 2-year warranty, and all the advice and after sales support you’ll ever need. 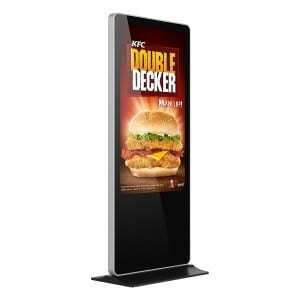 Teksmart produce a huge range of digital screens, indoor digital signage, outdoor digital signage & touchscreen displays. If we haven’t got exactly what you need, we can custom-make it. Teksmart has been designing, manufacturing and selling digital signage since 2008. We keep developing new signage, with new features and capabilities, because we know there isn’t any one-size-fits-all solution. From indoor wall-mounted screens to outdoor freestanding units, from standalones to multi-site digital networks – we can help. Teksmart are digital signage specialists, and our focus is on providing the right solution for your project. To supplement our products – we offer a range of services which include everything you need to get your digital signage project off the ground. You can choose to work with us entirely from start to finish or simply cherry-pick what you need. Teksmart produce a huge range of highly-customisable digital screens, indoor digital signage, outdoor digital signage and touchscreen displays. If we haven’t got exactly what you need, we can custom-make your digital sign for you. Copyright 2017 - Teksmart (Buyrite Enterprises Ltd. T/A). Part of the Buyrite Group of Companies.